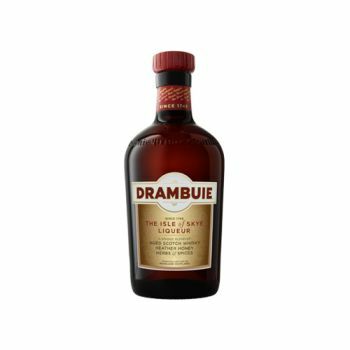 Drambuie is a liqueur made from a secret blend of Scotch whisky and Scottish heather honey combined with herbs and spices. To this day it is blended by hand and the making process has barely changed since it was brought to Scotland in 1745. The whisky base is made blending the finest Speyside and Highland malt whiskies, as they are well known for their smoothness and subtle flavours. After the whisky is blended, it is then married with heather honey, herbs and spices to create the Dambuie Elixir.